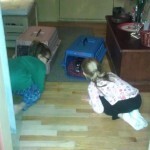 Getting your first pet can be one of your best childhood memories. We all still remember the day Stewie arrived with Brian almost four years ago. 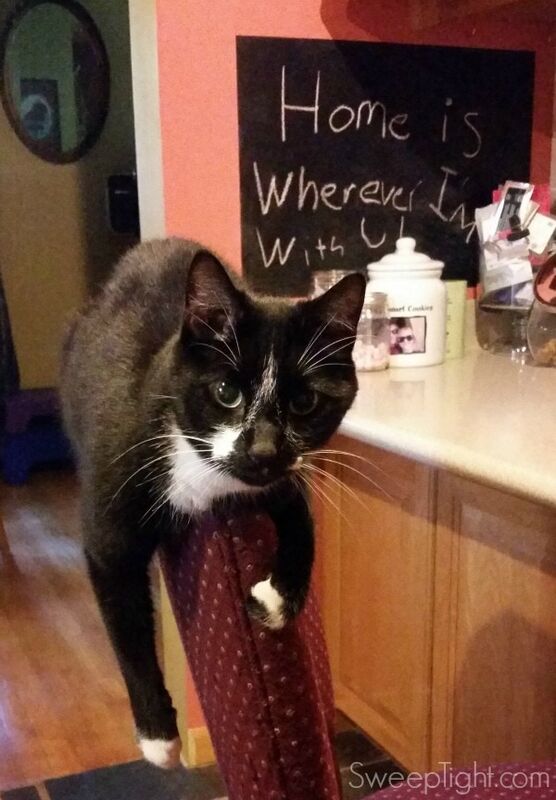 We only ended up keeping Stewie because Brian wasn’t good with kids, but we found him a purrfect furrever home. Stewie has been part of the family ever since. This post is sponsored by Swiffer® and the BlogPaws Professional Pet Blogger Network. I am helping spread the word about Swiffer but Sweep Tight only shares information we feel is relevant to our readers. Swiffer is not responsible for the content of this article. I found Stewie in an abandoned home where he and two other cats were left totally uncared for, except bags of cat food dumped all around the house. Upon entering the building he jumped into my arms out of the ceiling tiles. I loved him from that moment on. After taking him to the vet and making sure he was in full health, we brought him home to meet the kids. He was an instant best friend. He was around 7 or 8 years old when we got him. He’s watched these kids grow up right along with me and he’s cracked me up, and touched my heart. If they’re ever sad, he doesn’t leave their side. If it’s time for fun, you’ll find him in the center of the action. As with most furry friends, #ShedHappens. But just like the rest of the family members, cleaning up after them just comes with the territory. Swiffer makes this task so much easier. Plus, they’re going the extra mile to help families with their new adopted pets. 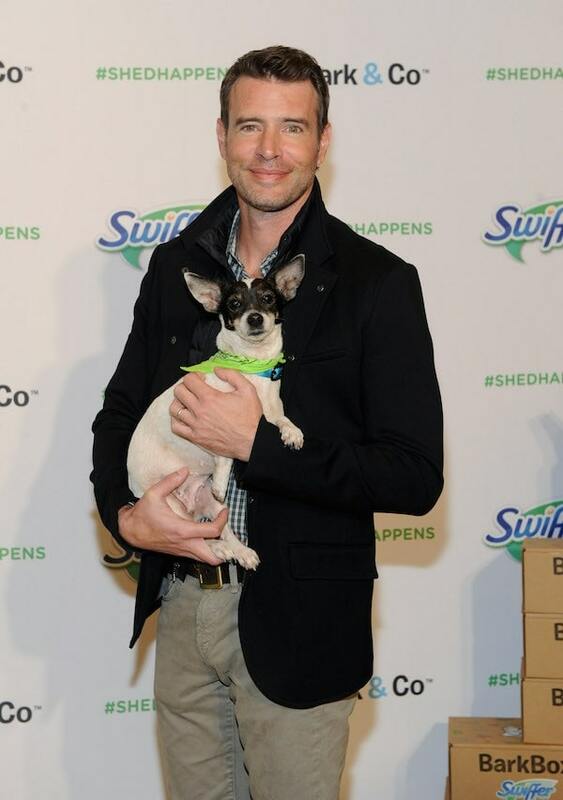 On November 12, 2015, actor Scott Foley joined forces with Swiffer in NYC to launch Swiffer’s “Welcome Home” child’s first pet campaign. The goal is to make sure cleaning concerns don’t stand in the way of adopting your child’s first pet this holiday season. 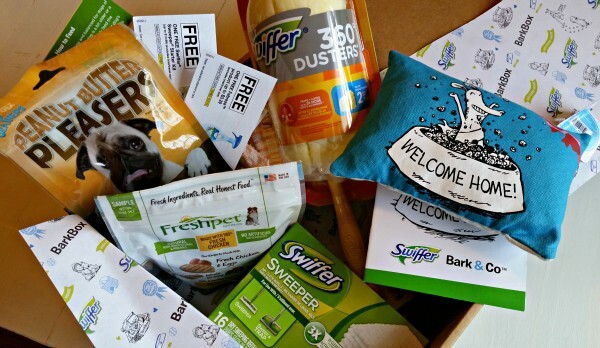 Swiffer and Bark & Co., the makers of BarkBox, announced that they will be giving away 10,000 Welcome Home Kits to shelters nationwide. I got one too! This is perfect since we just adopted little Bibble a couple months ago! He’s such a doll. 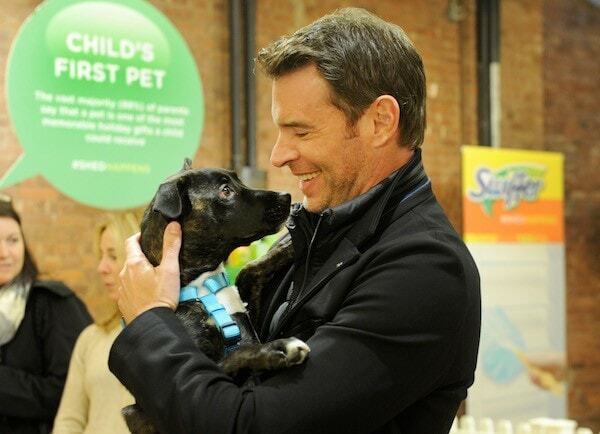 @BarkBox and @Swiffer are teaming up to make sure cleaning concerns are never an obstacle when bringing home your child’s first pet. Through December, new pup parents who adopt from partnering shelters will get a free Welcome Home Kit packed with goodies and cleaning supplies. Because with any furry family member… #ShedHappens. 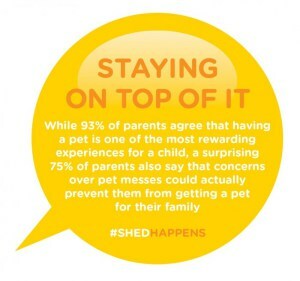 Do you have a #ShedHappens story with your first pet? oh that’s so awesome!! 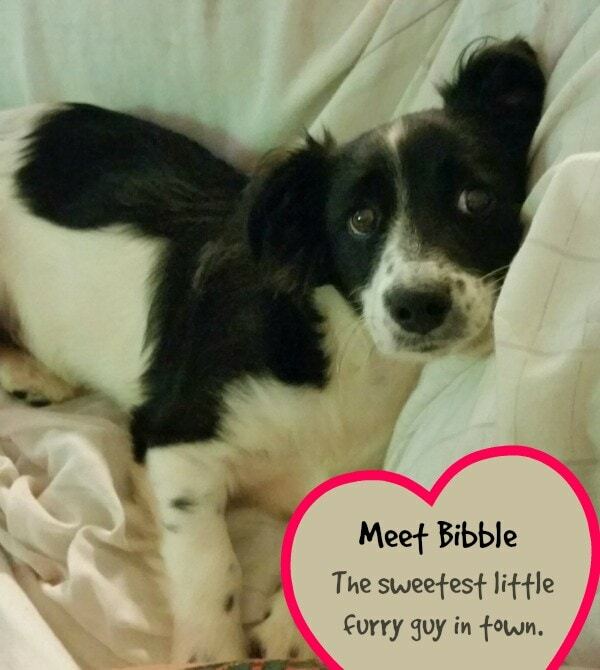 i’m sure bibbie is so happy to have found you guys. 🙂 we have two cats and were thinking of getting a dog.. but we’re waiting until we settle down in one city first.